My weight has increased over the years- with the help of Weight Watchers, I managed to lose a stone last year but noticed that I wasn’t shifting any more weight or toning my body up either even though I was exercising regularly. I had become more frustrated that nothing was happening, whilst driving home from work in June 2012, I saw a banner advertising Chris’ personal training studio and thought I would take him up on his free consultation and taster session. 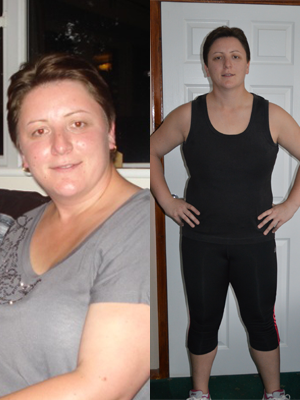 Chris made me feel confident that I could reach my goal to change my body shape with hard work and healthy eating. Each session is hard work but always different so you don’t get bored,I have to date lost 6 inches from around my waist along with several inches around my bust, thighs and hips but the biggest excitement for me has been going from a size 18 to size 16!!. My lifestyle has totally changed- I feel great and look better in my new clothes plus I am sleeping alot better and I am far fitter than I was. This is thanks to Chris!! If your thinking about personal training to reach your goals- please do it!! Contact Chris now!